This coming Sunday, March 26, is Mother's Day in the UK. A great opportunity to gift all mothers extra flowers. 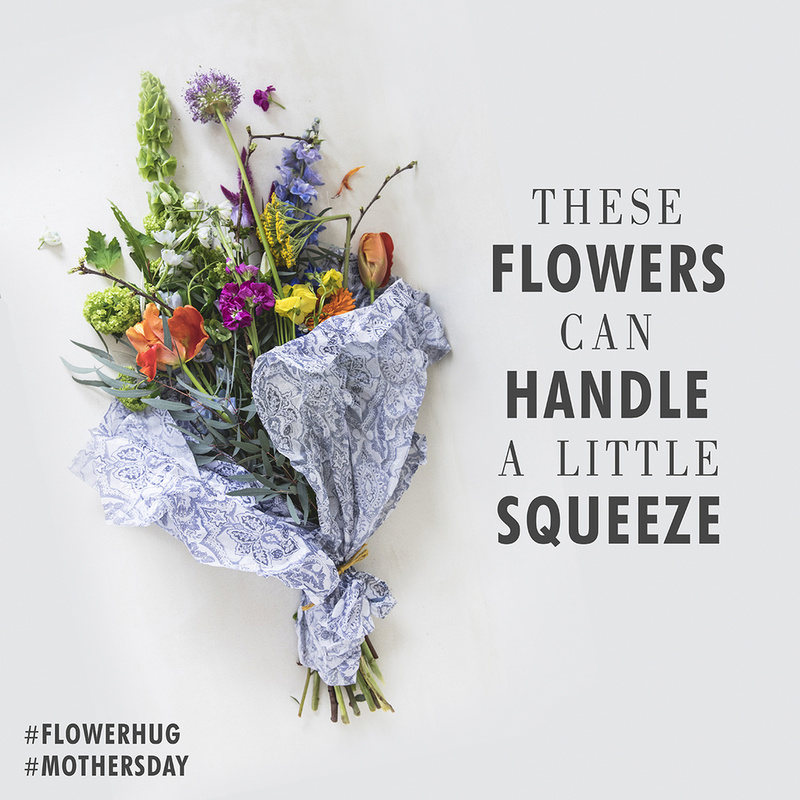 This year the Flower Council of Holland will pay attention to Mother's Day with the focus of their social media channels on a new concept, the 'flowerhug'. A beautiful bouquet of flowers is obviously the way to give your mother a warm glow on Mother's Day and a way to express your love. 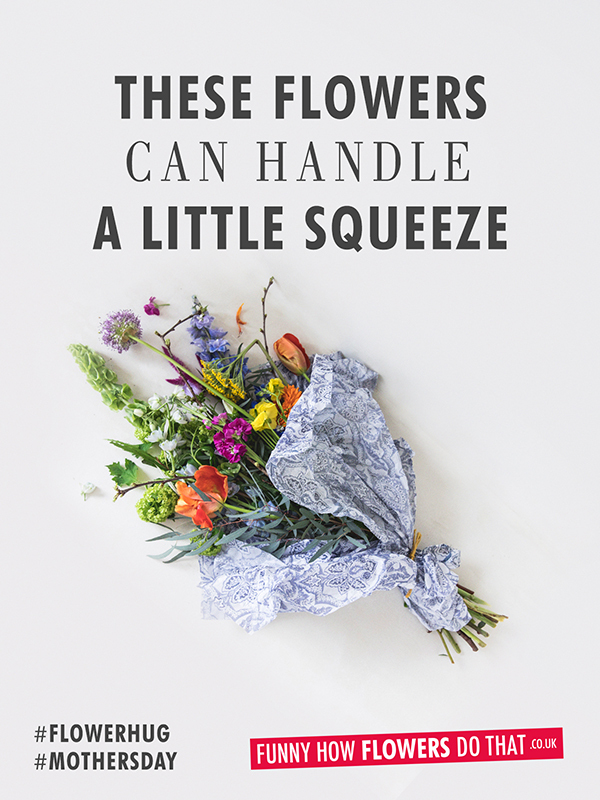 In addition, there is a very good chance that a bunch of flowers will make your mum so happy that the bouquet will lead to a 'flowerhug'. 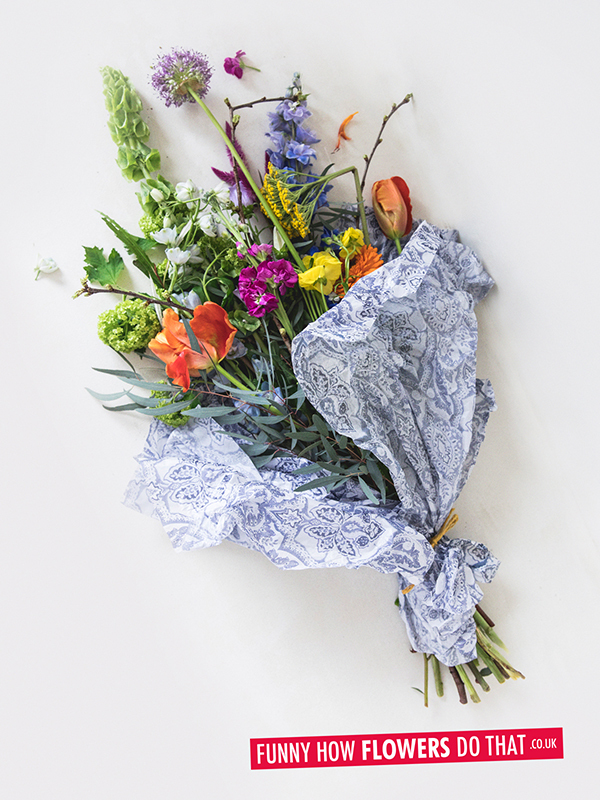 The result: a bouquet filled with love, and maybe a few crushed petals caused by this big hug of gratitude. Flower Council of Holland created 'flowerhug' images with a wink intended to perk up social media channels this weekend. 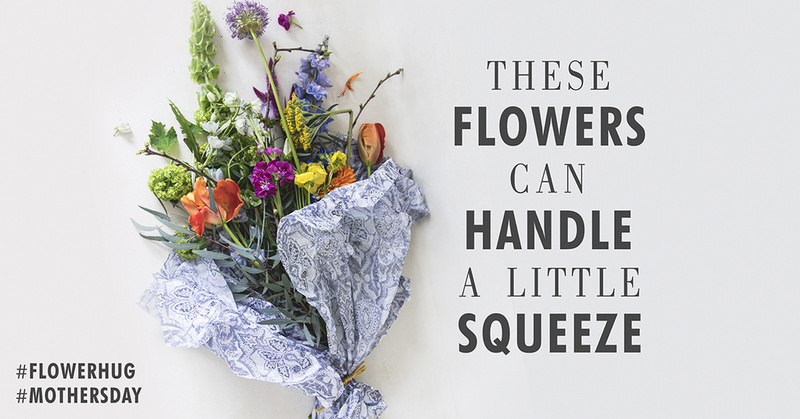 With these Mother's Day 'flowerhug' posts, we help to remind everyone that a beautiful bouquet is the nicest Mother's Day gift in case they've not bought a bouquet yet. The images developed are available to download below and you can use these freely on your own channels. Traditionally children used to pick flowers on the roadside to give to their mothers on Mother's Day. Today it is not only mothers, but also grandmothers, mother-in-laws and stepmothers who receive a beautiful bouquet or other gifts on Mother's Day, and not picked from the side of the road anymore. This coming weekend our social channels will have a 'flowerhug' takeover.